How to modify the payment breakdown on an already booked order. Payment schedules are only ever used once when the order is first booked. 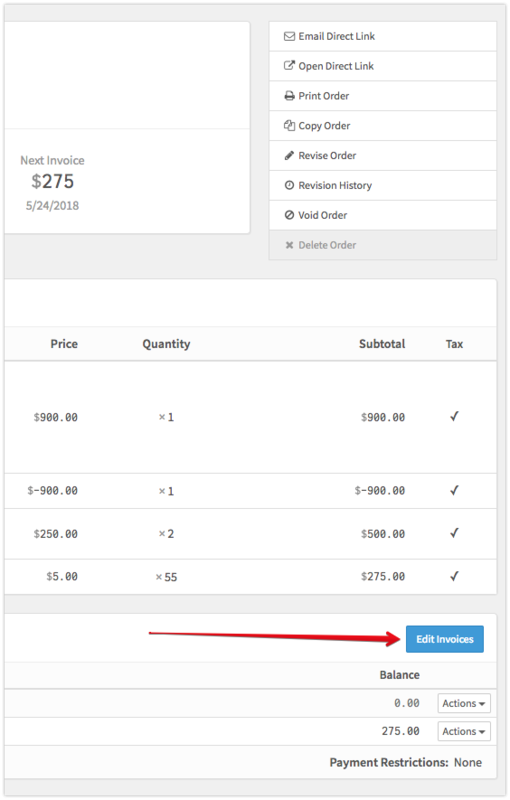 In order to adjust the invoice breakdown after booking, you'll go to the open invoices section on the order and click "edit invoices". From there, you can add or remove invoices if needed and set their due dates and amounts to whatever you'd like.